Norm of the North Heads off to Save His Home! 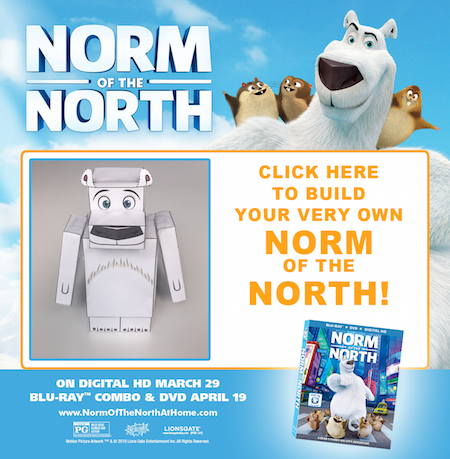 Lionsgate’s family adventure Norm of the North is heading to Digital HD March 29 and Blu-ray Combo Pack April 19! 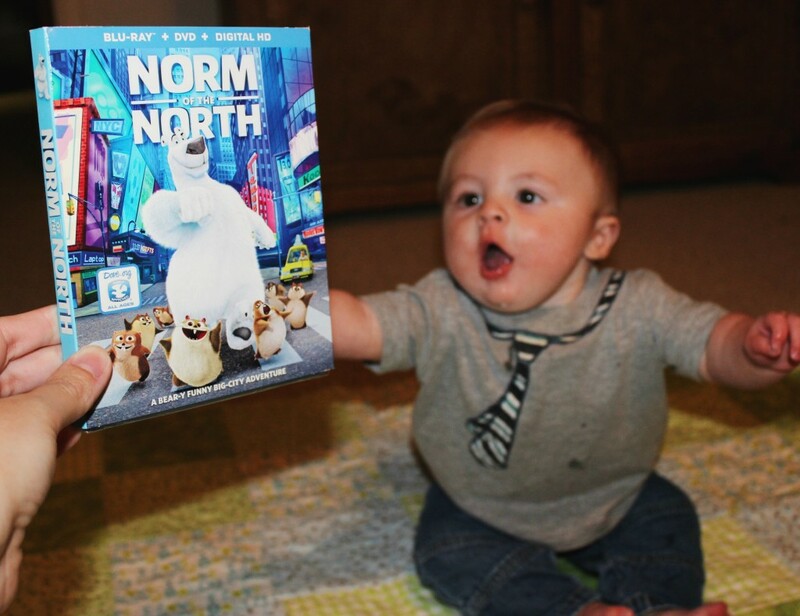 Follow the adventures of Norm, a polar bear from the Arctic who happens to have some very unusual talents and who has to head outside of his comfort zone to save his home! Norm embarks on a laugh-filled adventure in New York City with his lemming pals as they all try to stop greedy humans from turning the Arctic into a suburban neighborhood, and he makes some new friends along the way. In celebration of this release, here is a Norm print out and assemble Papercraft of Norm himself. Now anyone can have a little polar bear to play with, or to guard their desk! This is a fun little craft you can do with the kiddo’s and entertain them! This movie is really cute! I have heard that this movie would be a big hit, and it didn’t disappoint at all! I am a huge movie lover, and I know Clay will be as well. He will watch tv here and there, you can see he is really intrigued by it for sure. If you have kids or enjoy fun family friendly movies, you will probably enjoy this movie! I think this will be a movie that the whole family will enjoy!